First things first, may we try to justify the title of this blog post: The english term Drone applied to UAVs refers to the male bee, because of the clumsy flight and the monotone sound that this vehicles showed in their beginnings. 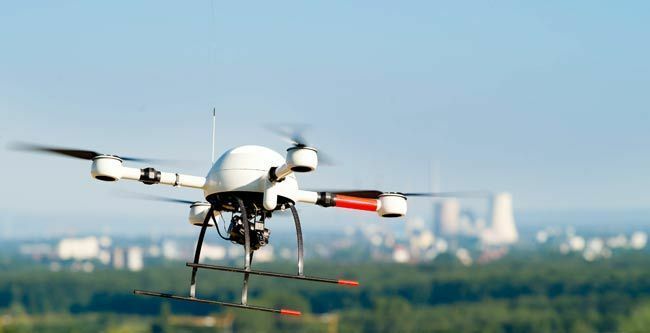 Initially being of almost strictly military use, UAVs (Unmaned Aerial Vehicles) have been perfected nowadays to an extent that they can already be used in the private market, with a huge amount of applications. In addition, the costs (both manufacturing and using) have been dramatically lowered to the almost-affordable-for-everyone point, and national regulations (although more slowly than the market) are already adapting to social demands and uses. See: the drone sector is currently moving figures up to 6,000 million dollars per year, but for 2022, Research and Markets estimates that this amount could exceed 21,000 million dollars (which it is not bad for a male bee at all). Technological innovations in UAVs and RPAs will be a very key part of this spectacular breakthrough planned for the market’s future. Sharks prevention, lifeguard aid, crop spraying… Choice is yours. Beyond more obvious use cases, such as audiovisual, technological innovation is making possible some UAVs usages that only few years ago we could only imagine. For example, the State of New South Wales in Australia, has decided to use unmanned aerial vehicles to prevent shark attacks , monitoring their movements to avoid human encountering. It is a five-year program costing $ 11.5 million including, among other measures, drone deployment on beaches. Another example: DJI has launched (in China and South Korea) a drone that is designed to autonomously spray crops. The vehicle has a built-in tank with a capacity of 10 liters and a spraying device to distribute the pesticides. But, we don’t have to travel that far from Spain to find a bunch of curious examples of other civil applications: Last summer, the beaches of Marbella, Asturias, Cantabria, Murcia and Malaga, held a campaign promoted by Vodafone and MEC (a spanish advertising agency), in which small drones joined the emergency teams of search and rescue operations, providing first aid in the shape of life jackets. However, UAVs still have many challenges ahead to solve, and right there comes in the ICT R&D: it is almost mandatory to improve communication systems to allow bigger scopes and transfer rates; to develop systems that allow UAVs to coexist in the same airspace with traditional aviation, such as “Sense & Avoid” collision avoidance systems; and to improve positioning systems to make them more accurate and reliable; of course among other, and not smaller, technological challenges. In Gradiant we are working on the development of new technologies for UAVs: We develop different types of payloads adapted to different missions, innovative and reliable communications systems, reliable and precise positioning and complementary systems that allow the detection of other drones, or even predicting failures and inefficiencies using Data Analytics techniques. Developments that have already been tested in many R&D projects for domestic and foreign companies, that prove our innovation capabilities in such a competitive market as the UAVs related one. 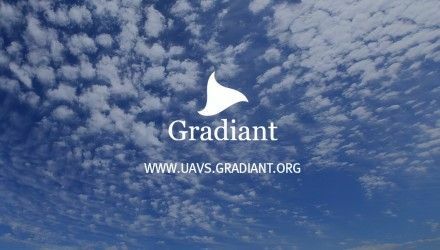 Gradiant travels to the New Orleans this week to bring their technologies to the biggest event UAVs related on the international calendar: the XPONENTIAL2016 Show, hosted by AUVSI, the largest association of UAVs in the world.